The psalmist sang, “Let all the earth fear the Lord; let all the inhabitants of the world stand in awe of Him” (Psalm 33:8 nkjv). God is “to be held in reverence by all those around Him” (89:7). “Holy and awesome is His name” (111:9). We must teach our children in word and deed to “serve God acceptably with reverence and godly fear. For our God is a consuming fire” (Hebrews 12:28-29). The writer of Hebrews alluded to the fact that even the Lord Jesus, the great High Priest, “in the days of His flesh, when He had offered up prayers and supplications … was heard because of His godly fear” (Hebrews 5:7). It is paramount to demonstrate and teach children to approach their heavenly Father with the utmost respect when they “enter the Holiest by the blood of Jesus” (10:19). His sanctuary is to be revered (Leviticus 19:30), and His name is to be set apart (Matthew 6:9), for He is “God of gods and Lord of lords, the great God,” who is “mighty and awesome” (Deuteronomy 10:17). Many children seem to have the idea that as long as they repeat at least some of the “reverent-sounding” phrases that their parents and other older Christians use in their prayers all is well. If children can roll off “guide, guard and direct us” from their tongues, or if they can just get that “ready recollection” phrase out of their mouths, they may think God will hear their prayers and their parents will be pleased. We must be careful leaving children with the impression that prayers are just repeated words and phrases. Jesus said, “And when you pray, do not use vain repetitions as the heathen do. For they think that they will be heard for their many words” (Matthew 6:7). Encourage children to use simple terms and expressions they understand. Whatever reverent prayer posture our children use, whatever words and phrases they pick for their petitions to God, may God help us to teach them to pray sincerely – not from a hollow heart or from a distracted heart but from a sincere, holy heart. As the psalmist said, “I will praise the Lord with my whole heart” (Psalm 111:1). I’m indebted to my mom and dad for teaching me to pray about specific things and specific people at an early age. To this day, as my dad approaches 80, he prays for hundreds of specific people during a given week (and perhaps even a day). It is sweet to hear precious children pray for “all the old people” or “all of the sick around the world,” but teaching them to pray for specific things and people is biblical and honorable. Paul was a very busy servant who worked as both a tentmaker and a preacher of the gospel, but he found time to pray persistently for specific congregations (Philippians 1:3-4; Colossians 1:3; 1 Thessalonians 1:2) and specific individuals (2 Timothy 1:3; Philemon 4). Paul believed in prayer, and he believed in the power of the One who answers prayer. May God help us to pray and to teach our children to pray like Paul – with specificity. Consider that the way in which our children pray may very well reflect something about how we pray. What, if anything, do your children’s prayers say about you as a parent? Could there be a better compliment that a child could give his parents than, “They taught me how to pray … how to really pray – they taught me by their example and instruction how to worship Almighty God in prayer – in spirit and in truth”? 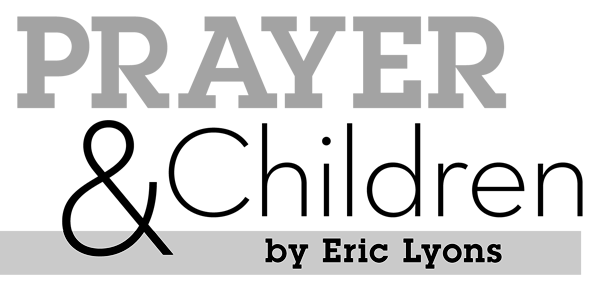 Eric Lyons is a member of the Bible department at Apologetics Press. He may be contacted at eric@apologeticspress.org.